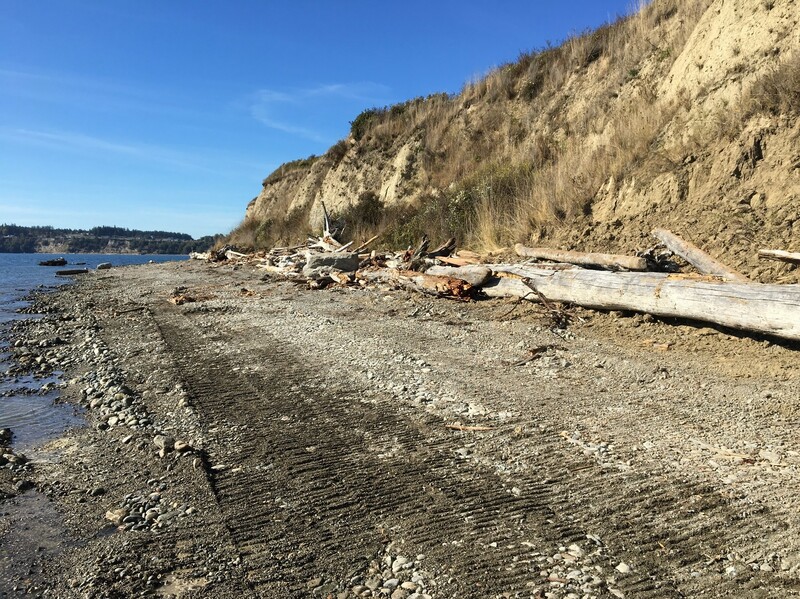 Oak Harbor Naval Base Armor Removal Completed – Experts in Puget Sound coastal processes, management, and cost-effective design since 1993. 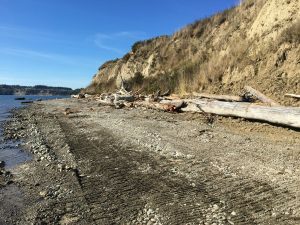 Armor removal was recently completed at the south-facing bluff and beach at the Naval Air Station on Whidbey Island, located south of Oak Harbor, Washington. 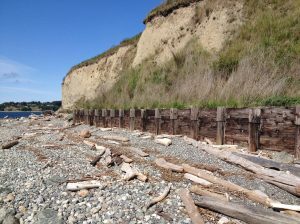 A 1978 demonstration project by the US Army Corps of Engineers placed old tires, rocks, and creosoted wood at the base of the bluff as a “low-cost shore protection” solution. 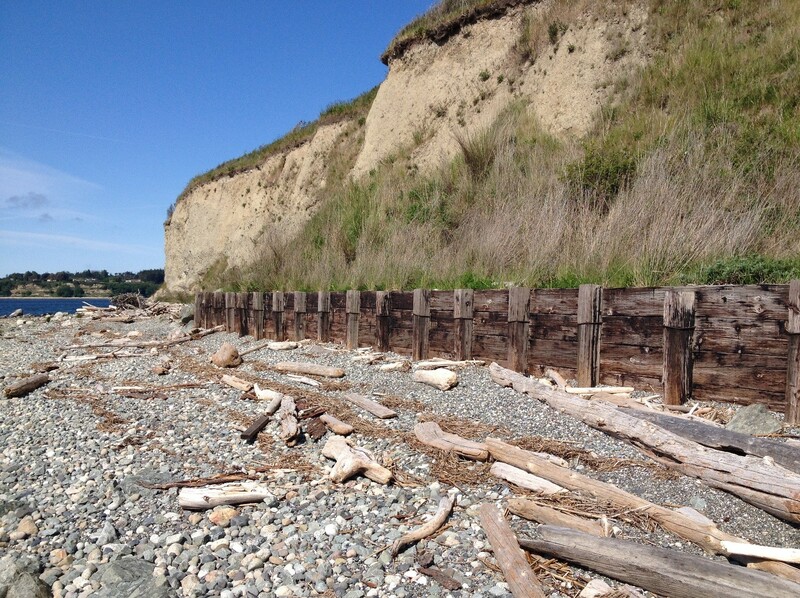 These armor materials had almost completely failed by 1979 and were removed from the south shore of the Maylors Point peninsula between Oak Harbor and Crescent Harbor in September and October of 2018. The Northwest Straits Foundation sponsored the project, with Lisa Kaufman as the project manager. 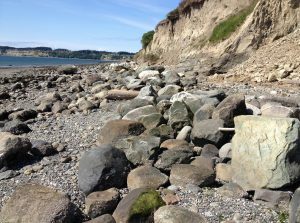 An estimated total of 1,300 old tires, up to 6,000 intertidal concrete bags, and over 1,380 cubic yards of treated wood, armor stone, intertidal angular rock, and artificial fill were removed from 1,800 FT of historical feeder bluff shore. CGS performed site mapping, feasibility, armor removal and restoration design, and assisted with construction oversight. This project was identified as part of a GIS-based feasibility and benefit assessment aimed at identifying and ranking feeder bluff restoration projects in Island and East Jefferson Counties. For more information on this effort, please visit the Salish Sea Wiki page! 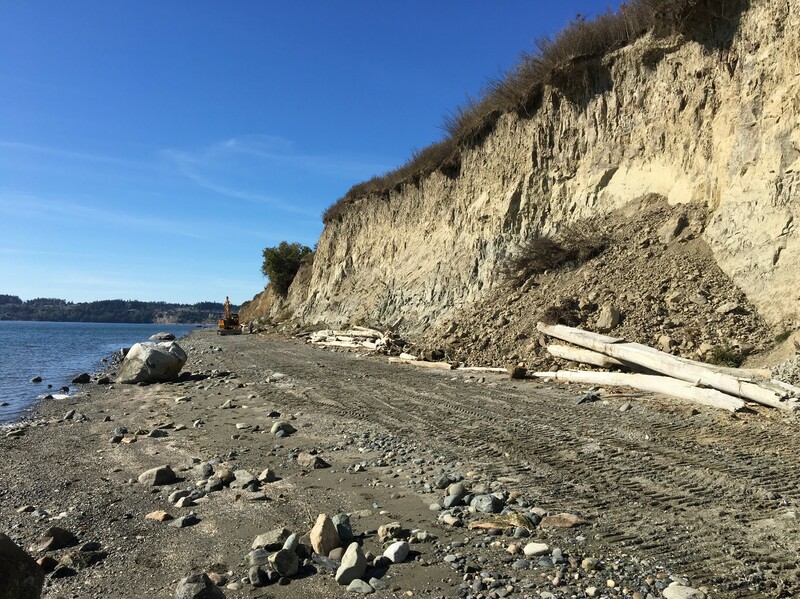 Visit the Northwest Straits Foundation website for more information on Maylor Point and other recent armor removal projects!